Jerry has been a lifetime resident of Hennepin County for more than 50 years. Married for over 45 years to his wife Sharon, together they have resided in Greenfield for the past 19 years and have three children and four grandchildren. Jerry was raised in a working class family and was a graduate of St.Louis Park High School. He attended the University of Minnesota, North Hennepin Community College and while pursuing a career in anesthesia, graduated from St. Mary’s College, School of Nursing. A married college student, Jerry was self-employed while earning his way through college and continues that self-employment to this day. Jerry knows first hand, the value of opportunity, hard work and personal responsibility. Presently, together with his wife Sharon, they have built a career in the building, development and real estate professions. 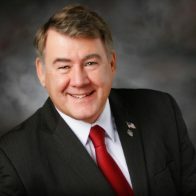 Jerry is the current state representative for House District 33A, serving the communities of Wayzata, Orono, Long Lake, Minnetrista, St. Bonifacius, Independence, Greenfield, Corcoran, Loretto, Maple Plain and Medina. Jerry was the past Mayor of the City of Greenfield and past member of the City’s EDA. He is also a past president of the Rockford-Greenfield Area Chamber of Commerce representing area businesses along the Highway 55 corridor and surrounding areas. Jerry served previously as the Chairman of the City of Greenfield Planning Commission for more than 6 years. Jerry and wife Sharon have been supporters of many volunteer efforts around the Greenfield area and elsewhere including volunteer community based initiatives and non-profit organizations including such projects as RiverWorks Food Shelf, TownHall Makeover Project, Highway 55 Beautification Project, Greenfield Arbor Day Project, Park Maintenance, R.A.C.E. Committee and several other projects intended to increase volunteering and community participation. 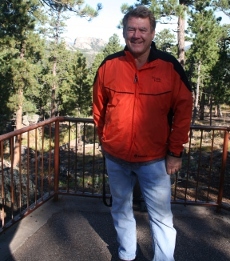 Jerry enjoys most outdoor activities including hiking, camping, fishing, hunting, snowmobiling, cycling and golf. Other activities and interests include music, painting and travel.